The insurance company is kinda like the house: It always wins. So what happens after a year that brought more severe weather than any in recent memory — from droughts to wildfires to record numbers of tornadoes to Hurricane Sandy? Obviously that remains to be seen, but with a finite number of dollars in the worldwide insurance bucket, prospects seem ominous, particularly if 2013 brings more natural disasters. 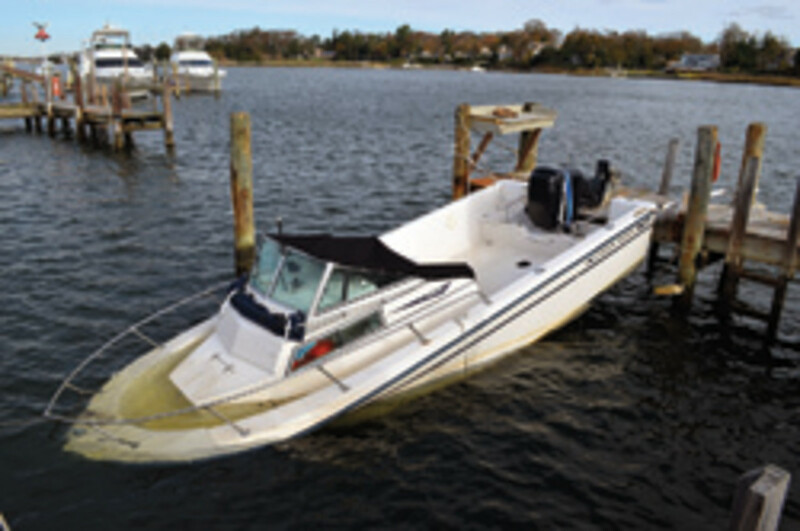 Given the damage to boats, Sandy’s hit might be felt disproportionately in the marine industry and in coastal locations, where more than half of the nation’s economic productivity is located, according to the National Oceanic and Atmospheric Administration. Boat owners and marine businesses likely will see a sharper rise in rates than others because of the widespread marine damage Sandy brought, says U.K.-based Steve Evans, who owns Artemis.bm, a firm that analyzes alternative risk transfer and weather risk markets, among other industry patterns. Property owners should look at their budgets and their policies and analyze their risks annually, says Wright, who concedes that few of them do. “If a marina owner hasn’t sat down with an agent to review their insurance, they’re playing with fire,” he says. Before Sandy, the worst flood Causeway had seen in 30 years was a quarter-inch of water that receded after eight minutes, he says. This time 20 to 28 inches filled buildings and sheds, destroying parts, inventory, engines, tools and equipment. Despite being on the hook himself for most of the damage, Terzian expects his rates to rise. “Sandy’s going to affect us all, not just marina insurance and the Northeast,” says John Naybor, a former engineer who owns three marinas in Florida. The Atlantic region is only seven years into a heavy storm cycle that typically lasts between 25 and 40 years, according to a NOAA report. The last one was from the mid-1930s through 1970. From 1990 through 2008 population density increased 32 percent in Gulf of Mexico coastal counties and 17 percent in Atlantic coastal counties, according to separate NOAA figures. The most densely populated portions of those coastlines lie less than 10 feet above mean sea level, and more than half of the nation’s economic productivity is in coastal zones. Sandy will change the way marinas are insured, speculates Mark Yearn, marine insurance specialist at Norman Spencer Agency. “It’s extremely difficult to make money insuring docks, no matter where they are,” Yearn says. Some insurers take into account the marina’s exposure to the elements to some degree but usually don’t assess construction. Adriance thinks exposure and age, as well as construction and materials, are a critical piece of dock survival. 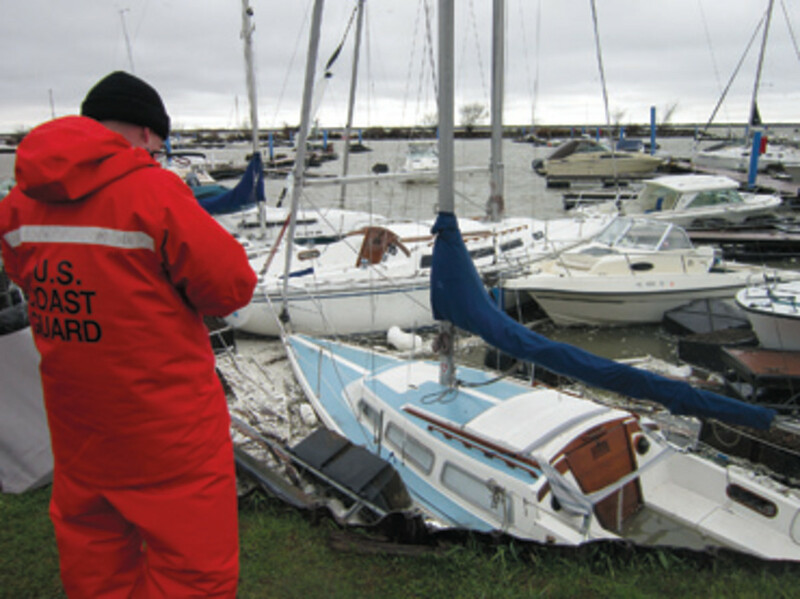 After Hurricane Ike, BoatUS put together a group to begin evaluating marinas. “If you have floating docks with tall, 18-foot pilings, time and time again they go through the storms. The boats go up, the boats go down,” Adriance says. Fixed docks can be a problem because boats have gotten beamier over the years, he says, leaving about a foot and a half of space on each side. “Before a storm you try to tie it loose enough so it can move up and down with the waves but tight enough so your boat doesn’t bang against the sides, and that’s very difficult to do,” Adriance says. Every year boats drift off pilings that are too short and float away, still tied to docks, Adriance says. “It’s not fair that a marina in a sheltered location with floating docks and tall pilings is treated the same as someone who’s completely exposed and has old docks,” he says. Storms always increase the amount of scrutiny paid to risk, Evans says. Some might begin looking beyond building codes, Naybor says. “There’s a national code for buildings, but it does not take into account wind load and seas and tidal surge,” says Naybor. Insurers who lack the resources to send out inspectors with engineering backgrounds could withdraw from the market or raise rates across the board. That might cause others to do what Naybor already did — rebuild stronger and self-insure, Adriance says. In 2004, Hurricane Ivan wiped out one of Naybor’s three Florida marinas and severely damaged another. The storm set records with its high intensity and low pressure. Naybor thinks that about 60 percent of Florida marinas carry no storm insurance, although the number often cited is 40 percent. Paying higher premiums won’t be an option for some who are already over-leveraged in this difficult economy, Naybor says. In some cases, those who raised deductibles to trim a few bucks from the monthly budget won’t be able to afford rebuilding, especially when they factor in the financial hit of the revenue lost while they’re shut down, Naybor says.